Webinars – Great Lakes Profiles Inc.
Below you will find free webinar links that may help you with your HR and assessment needs. Please feel free to reach out with any questions you may have regarding any one of these webinars. 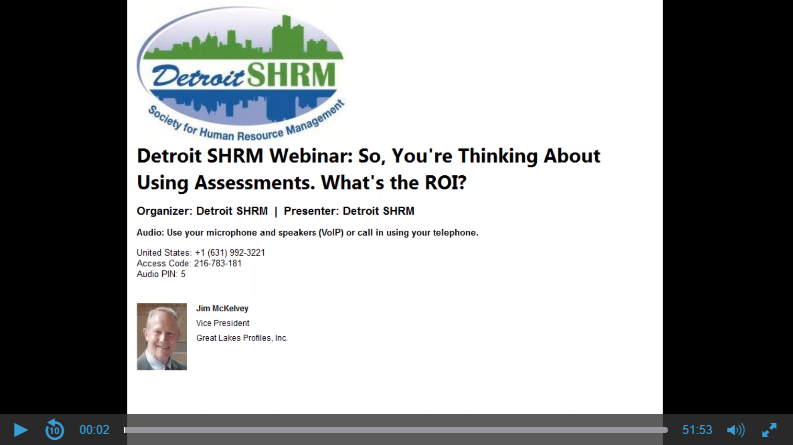 "Hiring Good Candidates - Best Practices"
"So, You’re Thinking About Using Assessments. What’s the ROI?"